Classic Mulder and Skully get the Minimates treatment! 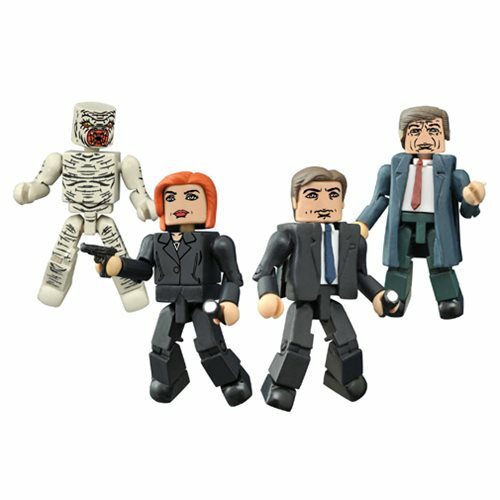 This X-Files Classic Minimates Box Set includes 2-inch mini-figures of Mulder, Scully, Flukeman, and the Cigarette-Smoking Man with removable trench coat. Each figure is based on the original episodes and feature 14 points of articulation. Mini-figures come packaged on a full-color blister card. Ages 8 and up.